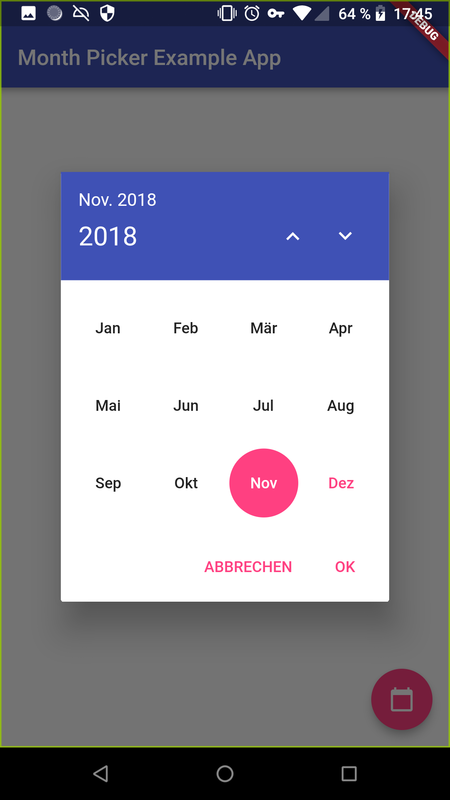 Internationalized material style dialog for picking a single month from an infinite list of years. 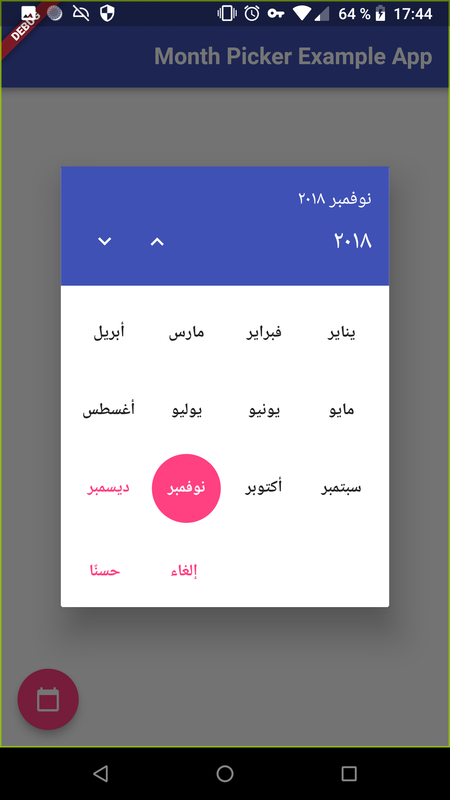 This package makes use of the intl package and flutter's i18n abilities to provide labels in all languages known to flutter. 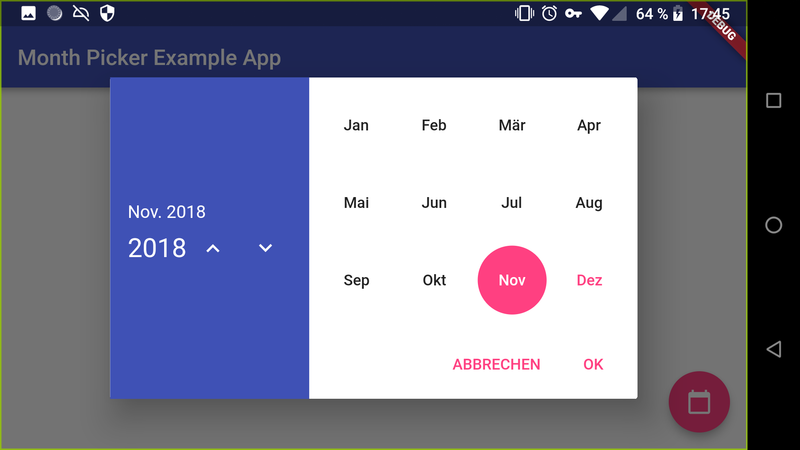 Demonstrates how to use the month_picker_dialog package. 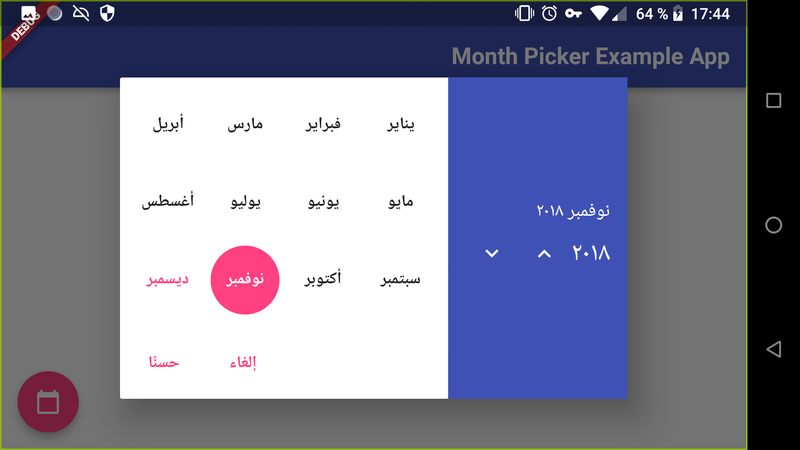 Internationalized dialog for picking a single month from an infinite list of years.